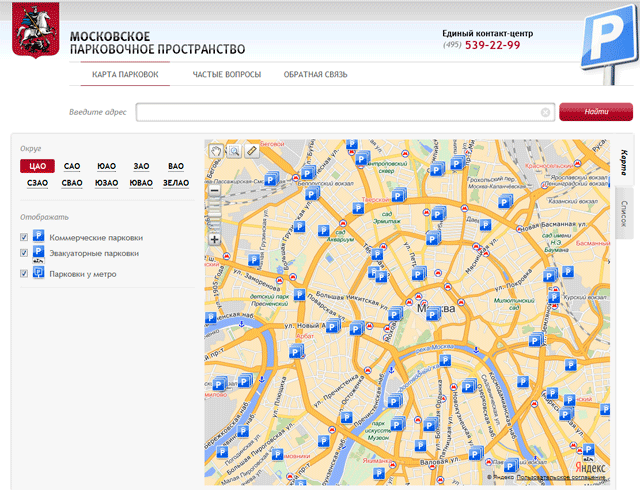 The map is used from Yandex. The official site of the Department of Transport and Development of the road and transport infrastructure of Moscow. Search for a car in the parking lot.